Whee I'm blogging, I'm blogging! For the fourth time in a week! It has honestly been AGES since I've blogged this much, here is to really hoping I keep up with it. I'm excited about the travel series which I've been working on, so you get tips on getting ready for travel and going solo. 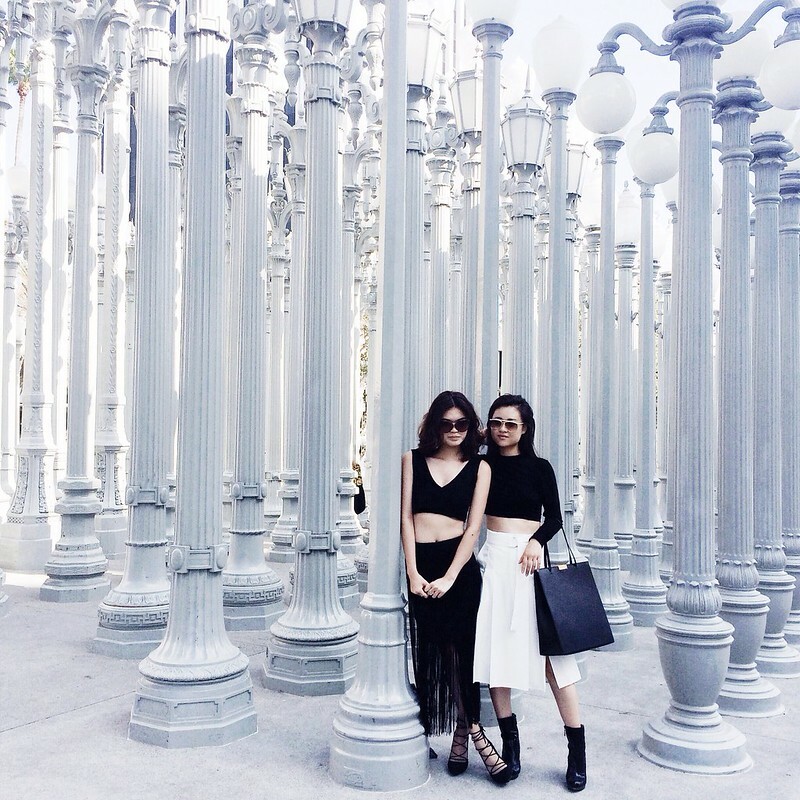 These were taken by Natalie when we hung out in L.A, I had always wanted to visit the Urban Lights exhibit outside the LACMA and I guess it took 3 trips before I finally made it there. Such a beautiful museum. It was so good to be able to hang out with Natalie, we had been following each other for what's felt like years and had emailed for awhile. I fondly remember starting one of my emails with how badly I wanted to come back to L.A for vacation and she was like "come, come!" and up till a week before my trip, we were still chatting as friends, no clue that I would have the opportunity to actually really end up going. And so the moment I landed in L.A soil, we arranged to meet. It was in a hotel at a cute place for brunch and I was with a friend who was completely different from who I was and what I did but the three of us got along just fine and had a lovely afternoon. It's funny how just being able to follow someone on Instagram and be reading their blogs can allow you feel like you actually know the person. Natalie isn't the first person I've made friends with and met abroad but she is special because I have a good feeling even if we were to meet 10 years from now, we'd still be good friends. The thing about me is, I LOVE to talk. I am someone who can talk non stop for hours. There is nothing, NOTHING, I love more than being able to just sit down somewhere with someone and TALK, one on one. And I just get so curious whenever I meet new people. Just being in conversation with someone is like being able to take a secret peep into their lives and at the same time, be a part of it in one way or another. Over some fancy Korean BBQ, Natalie and I spoke of many things and it was so nice. I was at a point in my life where I felt blessed to be surrounded by like-minded people who shared the same values as I did, and to have the opportunity to be travelling and meeting such amazing people. And woah, did this girl blow my head off. I guess it's also just American culture. 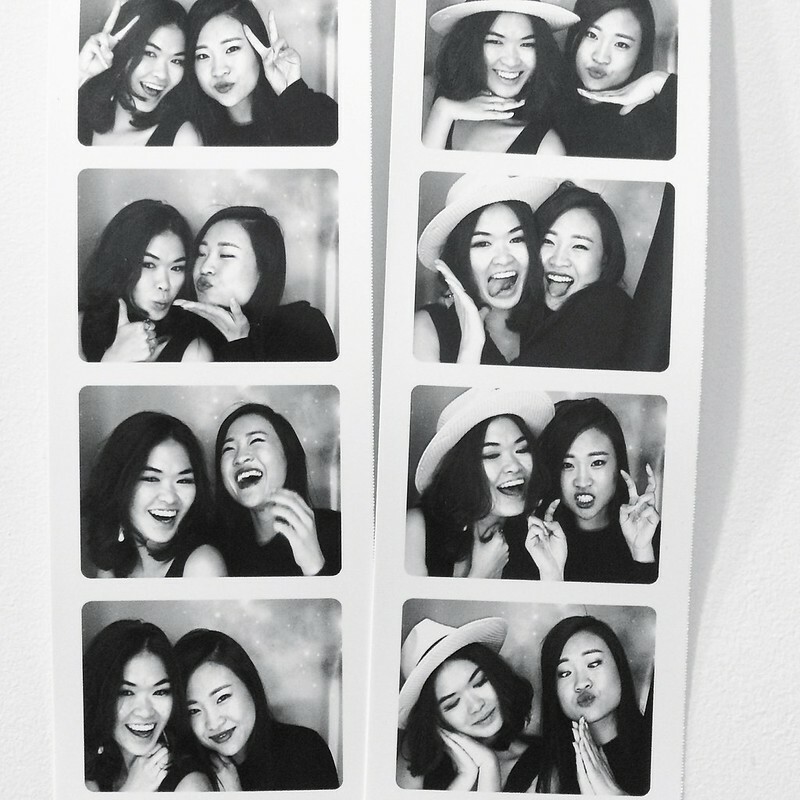 Growing up in Asia, we're brought out in a way where we're constantly sheltered by our parents, we don't get kicked out or cut-off completely by the time we're 18. While Natalie had her own story and background, this girl bravely moved to L.A for college, left school, started a successful blog and is now blogging full-time. She has been supporting herself for awhile now and she is only 19, I am turning 21 and constantly in debt for spending way beyond my means without having to worry about paying for my electricity bill. Natalie showed me what it was like to fearlessly go after your dreams and after our last farewell, I was in my Uber ride and just thinking to myself, why have I been so scared in the first place? Failure. If there is one thing I am the most afraid of in my life apart from losing people, it has got to be failure. I've spent my whole life visualizing THE perfect life I intend on living ten/ twenty years from now and it's a headache. Every night I have trouble sleeping because I obsess over the smallest of details even when I visualize. That apartment, that holiday, my perfect prince charming… I guess meeting Natalie made me realise that sometimes you need to let it all go and just go out and live. Thankfully, right now, I can safely say I am at a point in my life where I have nothing to lose so a lot of risks are about to be taken and I'm scared as hell, scared to death, just, deathly afraid. But like I said, if I were to not get that dream job, I'd still have friends and family to go to for support and a home to live in. It's a vastly different world in America, coming back consecutively for the past 4 years and travelling to different parts of the U.S made me realise how easy it is to lose your home, making homelessness one of the most prominent problems the U.S is facing. We are so lucky. I am so lucky. Speaking of travel and guides, what I'll leave you off with in this post is to connect with people. Don't be afraid to go up to a person and talk, we're so lucky we have social media allowing us to do that without physical action. Never be afraid to meet new people, I've said it before and I will say it again. It was so good to finally meet you, Natalie! Can't wait for our next adventure…..next week.